Interning at Hartford Public Access Television gives students the opportunity to further develop professional and practical skills in various areas which includeLIVE and RECORDED production, editing, graphic design, and information technology. HPATV’s internship program provides students with work experience that complements their education, while developing the skills needed to pursue employment in the media industry. 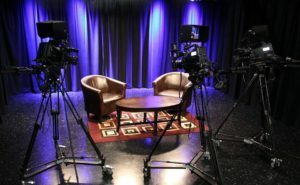 Hartford Public Access Television works with non-profits to create customized training programs for organizations. We design specific activities aimed at teaching your organization how to produce a media project. You’ll learn media production and media literacy. The project could be a short documentary, a public service announcement, or any other media project designed for your non-profit. Do you have comments or questions? Please send us a message.